It’s fine. 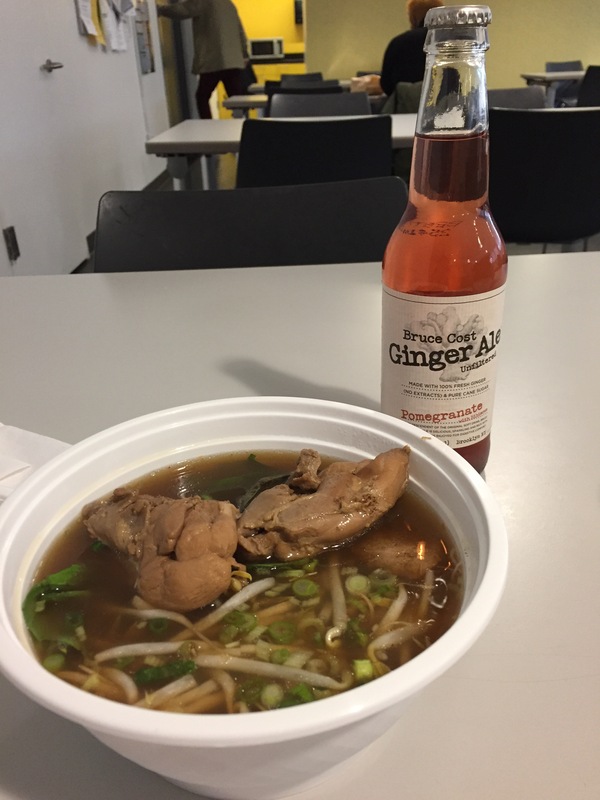 A good soup is in order, and Khao Man Gai NY’s Gai Toon soup (Thai chicken noodle) may hit the spot today. My favorite part of this soup is definitely the chicken, which was slow-simmered whole white meat pieces, cooked enough in an dark-brown anise/allspice/? broth, one can tear the meat easily using one’s fork with one hand. So tender and succulent! The other elements are great as well: rice vermicelli noodles, Thai basil, cilantro, scallions, Chinese celery, red pepper flakes, and bean sprouts swimming in the anise/allspice? broth. The soup was hot and soothing, savory and spicy. I still need a nap though…however, my day is not officially over yet. Happy Friday everyone!